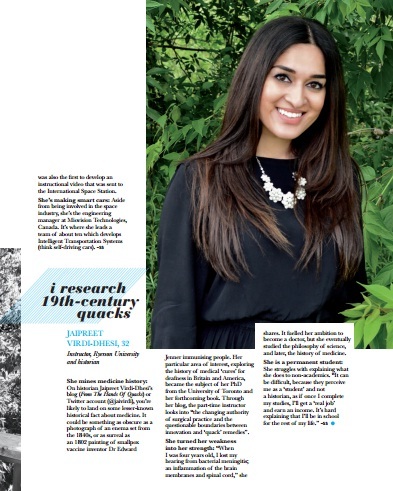 I’m thrilled to share that I’m interviewed in the August 2014 issue of ELLE India magazine as a feature on “ELLE GEEKS:” talented women who use science and technology to push boundaries of what we know and how we should think about the world. I’m incredibly honored to be featured alongside some amazingly talented women, all of whom are successful in their own respective fields. Special thanks to Sonam Savlani for contacting and patiently conducting the interview via email rather than phone. Pick up your own copy of ELLE India today and be prepared for some inspiration!